Looking for a sweet, hip and comfy outfit to bring home your sweet little bundle... look no further. Super sweet Set that has the option to get both headband and hat. Onesie, Leggings and Top Knot Hat Included. 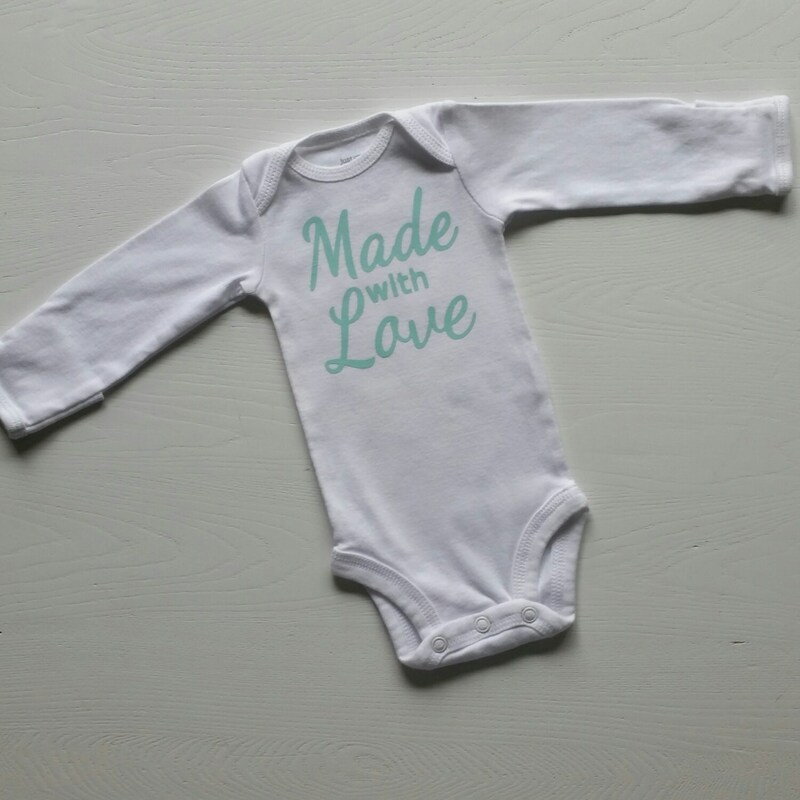 Onesie has heat pressed cool mint Made with Love. Leggings are an organic interlock cotton knit silver with white stars. Top Knot Hat made from the same fabric as the leggings. Top Knot Headband made from the same fabric as the leggings. Add Personalization as seen in Onesie image. Choose Option O.L.H. w/ Name and leave name in the notes section at checkout. Instead of Hello World it could say Little Sister, Big Sister, Little Brother, Big Brother, One, Two, Three, etc. Send a convo with your wishes and I can make it happen!